Stitched design area is about 6 inch square. 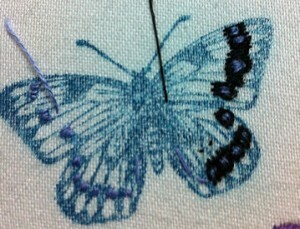 Stitches used are satin and long/short with some buttonhole stitching on the body of the left butterfly. 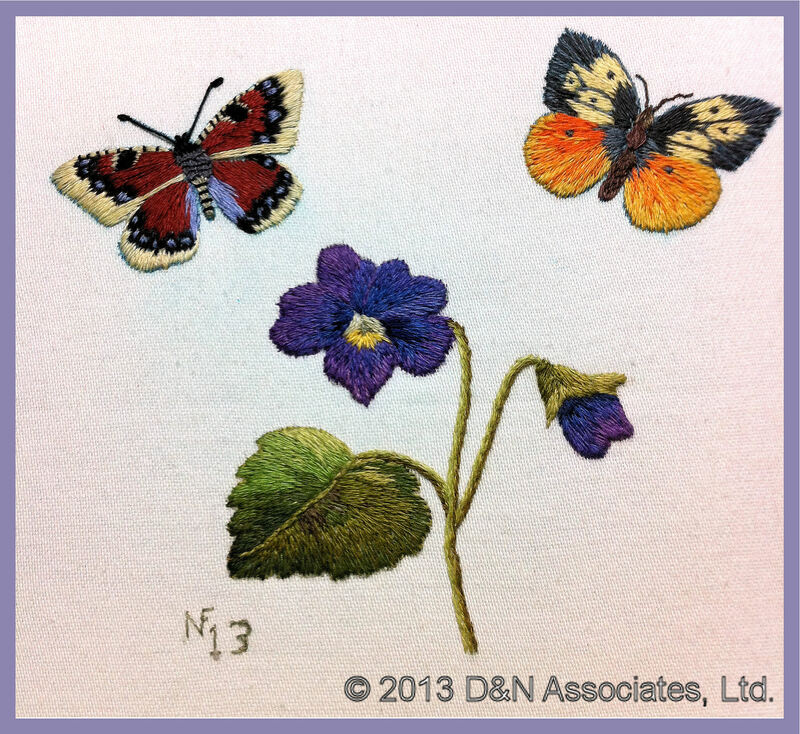 For the two photos directly below, on the left my stitched piece, on the right Ms. Burr’s. 1. Dorsal and ventral wings usually have different patterns. 2. Head, thorax, abdomen are three separate sections. 3. Slim dark border around Dalmatian Dog Spots on wings (see the left butterfly wings).